Root canals aren't fun, but there's no need to worry. Akbar Ebrahimian, DDS, at Premier Dental wants you to know a root canal doesn’t have to be an anxiety-ridden, excessively painful experience. 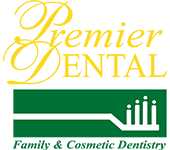 The professional dental team at Premier Dental in Sugar Land, Texas, is well-trained to perform root canals and does so on a routine basis. Call or book an appointment online if you’re worried about a root canal treatment. A root canal is a treatment that saves and repairs an infected tooth. When the inside of your tooth is severely infected or decayed, Dr. Ebrahimian at Premier Dental extracts any dying or dead tissue and bacteria from the tooth's interior. This allows him to protect your tooth and take away your pain. Bacteria can infect the roots and tissue inside your teeth as a result of an injury to the tooth or from a cavity that is left untreated. The infected tissue can develop inside the pulp or root of your tooth if you neglect to go to the dentist. This can cause a host of other problems if the infection spreads any further, so be sure to seek treatment. Dr. Ebrahimian can usually fix your tooth within one or two visits. You may first require an X-ray to determine the extent of damage to the tooth needing the root canal. When it's time for the procedure to begin, Dr. Ebrahimian at Premier Dental will apply a needle to anesthetize the area. If needed, he puts a dental dam, or a small film of rubber, on your tooth to keep it hygienic and shielded while the procedure is happening. After anesthesia is applied, he forms a minuscule hole in your tooth to reach the diseased area within the root. Next, Dr. Ebrahimian will clear away the unhealthy and infected pulp, then irrigate the area with water to clean it. Until you return for a permanent crown, he either seals the tooth or applies a temporary filling. Book a consultation online or call Premier Dental if you show even a minor symptom or sign of tooth infection. It could be more serious than you think.